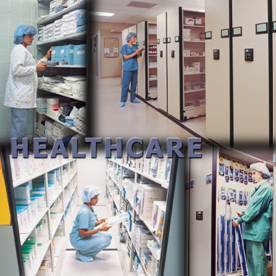 Medical Storage Solutions: Medical Record Storage, Catheter storage, Surgical Pack Storage in an OR room, Drug storage at a hospital in Little Rock, Arkansas are just some of the ways that Southwest Solutions Group can serve your Healthcare storage systems needs. 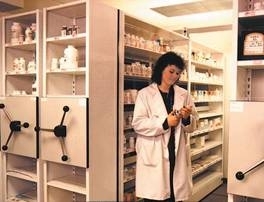 Pharmacy storage on a Spacesaver Hi-Density Mobile storage system will allow your healthcare storage and sorting capacities to be maximized and elevated to a more efficient level in Arkansas. 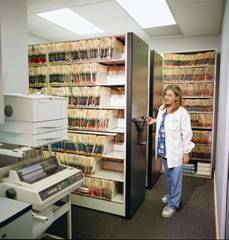 Medical Filing Systems that store patient records in doctor’s office in Arkansas. The ease of use of the Spacesaver healthcare filing shelving is second to none. 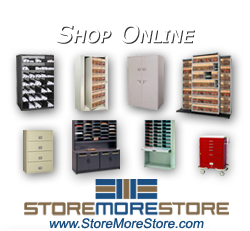 Think of our team for your medical filing system solution in Arkansas.